voipXess BRI connects any ISDN BRI telecommunications equipment to any Internet-based, next-generation network. With up to four integrated BRI interfaces and E-SBC functions, voipXess BRI is an ideal demarcation point for the interface between small & medium enterprises (SME) and networks using existent and new technologies. Based on the latest state-of-the-art technology the gateway is very environmental friendly due to low power consumption. With up to four BRI ports, voipXess BRI allows easy integration of ISDN telecommunications equipment and ISDN networks into IP-based, next-generation networks. A highly precise ISDN clock and supported, supplementary ISDN services ensure the customarily high ISDN quality of all voice, fax and DECT connections. Built-in ISDN & VoIP protocol conversion, standard SIP normalization and media transcoding enable voipXess BRI to adapt any telecommunications system to any network. The integrated IP & SIP firewall of voipXess BRI protects the VoIP network. The two Ethernet ports allow physical independent interfaces for WAN and LAN. Fraud attacks are detected and automatically blocked. Calls via the ISDN network in case of IP network failure ensure availability of services. 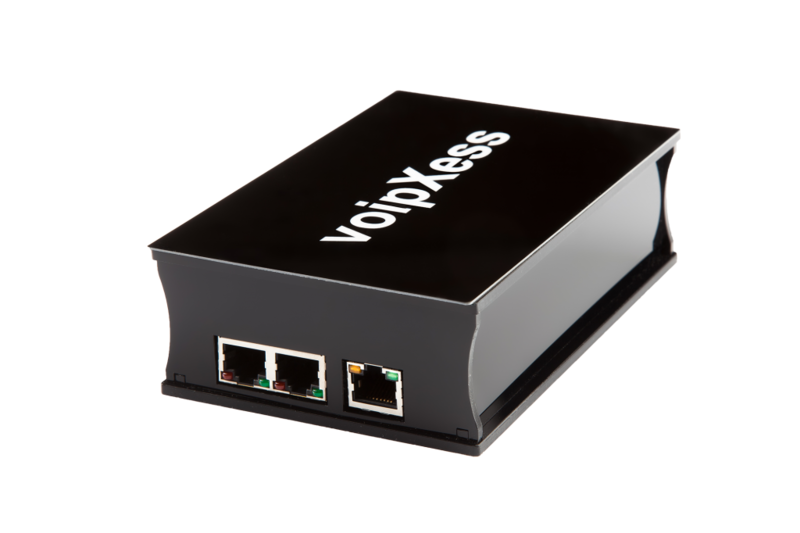 The integrated SIP server of voipXess BRI provides local SIP terminal devices with telephony functions if the cloud PBX becomes temporarily unavailable.